I hope you are all having a good week. 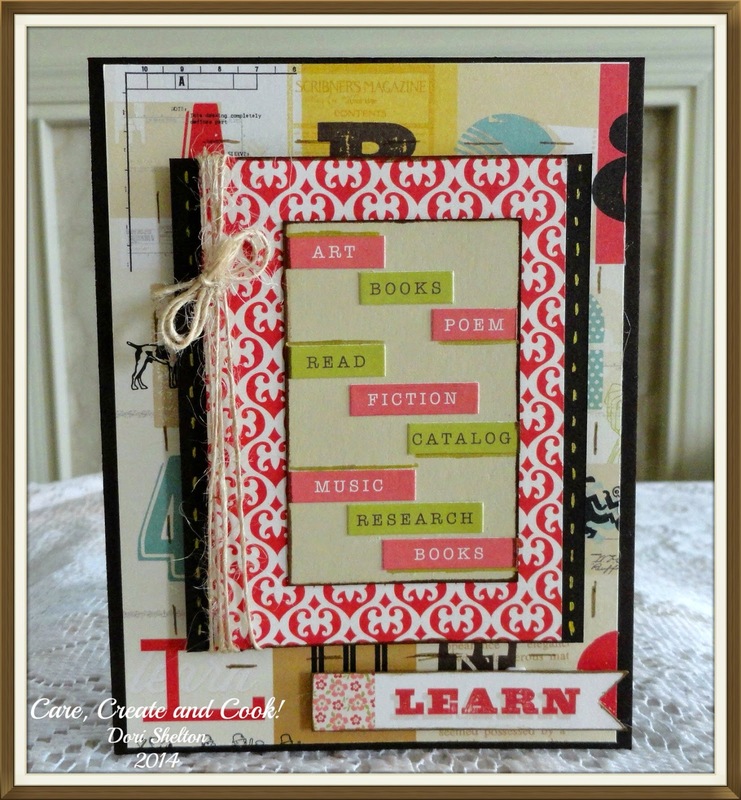 I realized yesterday that I had nothing creative made to share with you, so I decided to go ahead and make my last two cards for my Simon Says Stamp September Card Kit set and share both of them with you today. Although, I'm still a bit undecided...I may actually make one more. I've been working with this kit for a while now; and I'm thinking I might actually put it aside for a little bit and give some creative love to my other stamps and supplies. The cards I'm sharing today, focus more on the stickers and embellishments that are found in the kit. The first card, in fact, has no stamping at all on it. This was perfect because it meant the card only took about 15 minutes to make. 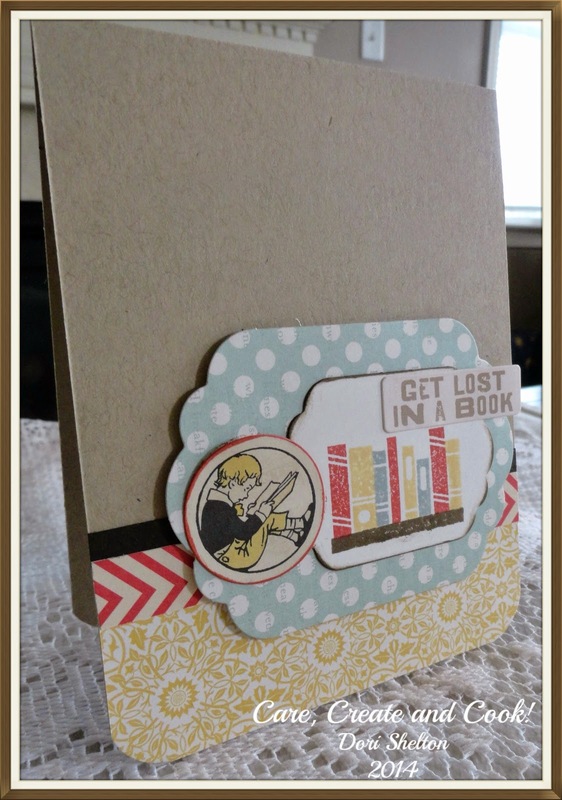 Since there was no stamping on this one, I relied on mixing the pattern papers together and I also wanted to make sure that I add some dimension to the card and depth as well with the layers. I added some faux stitching with a gold gel pen and some May Arts burlap twine as finishing touches. The second card is also clean and simple. I did stamp the books on the shelf in the image; but again, I relied more on the stickers and papers in the kits. I had actually die cut the larger background piece for another card; but didn't use it. I saw it laying on my desk and built this card around it. I was pleased with the overall final result. I think these cards would both be perfect to give to teachers or school librarians because really...how much love do we give our school librarians?!? Probably not nearly enough! Not too many challenges for these cards today; but here are the few I'm linking these up with. A great use of an oddment you found lying around! A lovely CAS card suitable for a guy. What a lovely cards...thanks for joining us at Divas by Design! Hi Dori I wanted to come and thank you for leaving me a comment on my blog it is much appreciated. 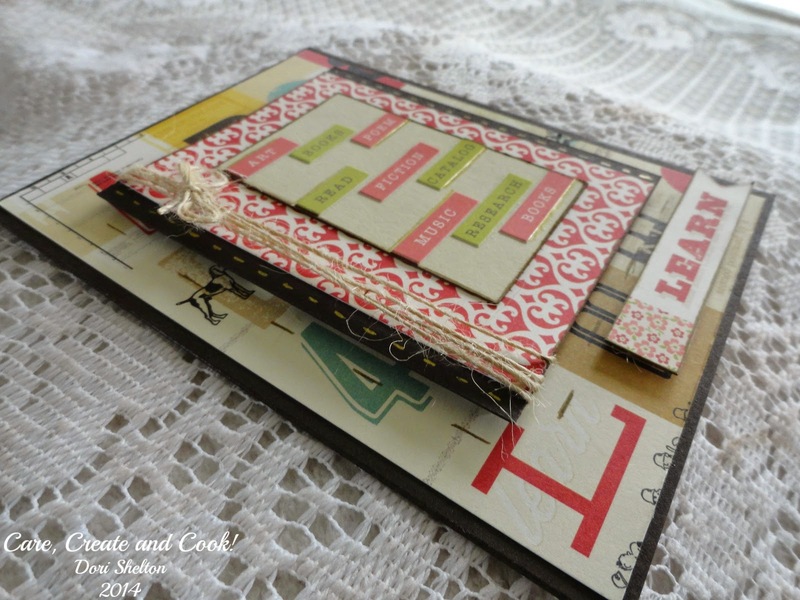 This is my first time visit to your blog and it is fabulous, love this wonderful project, love the mixing of the papers and the card is brilliant. This is gorgeous. Love the sentiment and design.